Our best advice on how to manage limp hair. 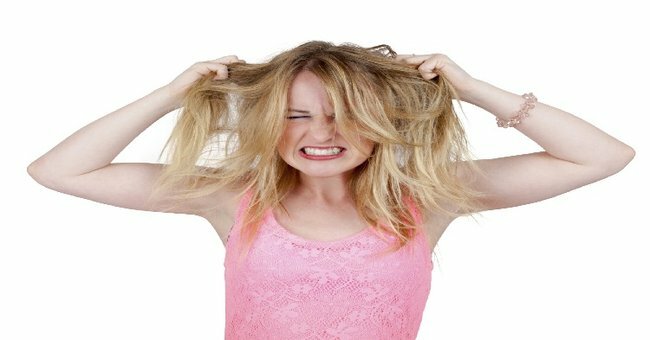 3 problems only girls with thin hair will understand. You know you have fine hair when you’ve spent hours in front of a mirror, desperately trying to fluff your hair up off your head. My hair is so light and fine that it’s sometimes compared to fairy floss. Only it’s nothing like fairy floss, because at least fairy floss has a bit of volume in it. My hair has zero volume. It’s limp and flat, all the time. Here are the problems I’ve experienced due to having fine hair – and some of the solutions I’ve also come up with along the way. 1. It has one texture and one style – regardless of what you do to it. If I put curls in, they fall out instantly. If a hairdresser puts curls in, they fall out about 15 minutes after I walk out of the salon. Same goes for waves, or a fancy up-do, or pretty much any kind of ‘different’ hairstyle that doesn’t involve the use of an entire can of hairspray and six trillion bobby pins. I really hate being weighed down by product, and so for nice events in the past, I’ve always just left my hair in its dull and flat state. But here’s your solution: dry shampoo. It gives amazing volume and texture to lifeless hair, especially at the roots – and it’s such a lightweight product that you don’t feel at all weighed down by it. I use it on clean AND dirty hair – it works just as well on either. Just as an FYI, you should know that this post is sponsored by Pantene Promise. But all opinions expressed by the author are 100% authentic and written in their own words. 2. It takes forever to grow. We know, it really isn’t fair. I once broke up with a boyfriend and decided to get a haircut to demonstrate my new life change. A nice, short haircut to show off my shoulders and my collarbone. It turns out that short hair doesn’t suit me AT ALL. And I wish I’d known that before deciding to chop it all off, because it took over a year to grow back to a length that I was happy with. The solution? Take care of your limited strands. Use a quality shampoo and conditioner that strengthens, smooths and moisturises your hair – Take care of your hair and make sure that it is nourished as it grows longer. I also try to avoid knots like the plague, because knots = rough brushing, and rough brushing = loss of more strands. I use BB crème for Hair on my wet hair after a shower, and then carefully brush through, making a serious effort to not break any hair. The crème stays on all day, and you can reapply to dry hair if you’re worried about knots developing throughout the day. AND IT’S NOT HEAVY! Nothing worse than your hair feeling disgusting and oily after you’ve just washed it – but that doesn’t happen with the crème. 3. No haircut is the right haircut. Every time I go to the hairdresser, I somehow think that they’re going to change my hair completely. I think that it’s going to be full and amazing and perfectly cut, all the time. That I’ll look like Blake Lively once I’ve left the salon. 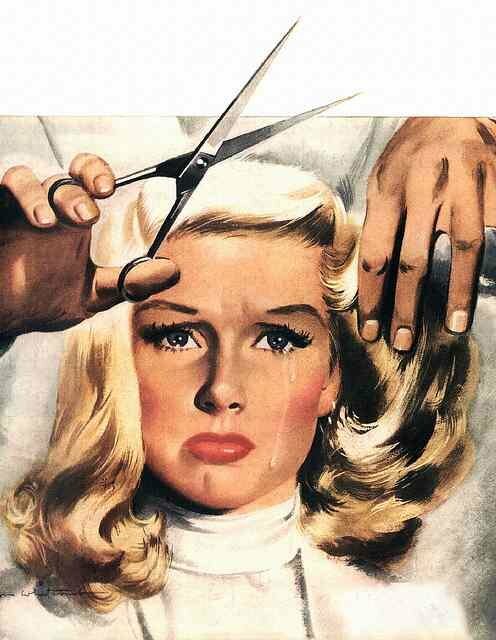 Sadly, every hairdresser I go to seems to fall short of my sky-high expectations. They leave me with a cut that’s just a bit… lacklustre. After many failed experiences, here’s my pro tip: don’t go for a structured, blunt hair cut that’s modelled off the latest thing to come down the catwalks. Fine hair won’t stand for that. You’re better off with some soft layers that frame your face. Make sure your hair is nice and soft to go with those layers – Pantene has a brilliant seven-day treatment system, the Smooth & Manageable Kit, which will bring your hair back from the disaster zone even after the most challenging times. How do you deal with fine, limp hair? Some of our favourite short hair styles to perve on.. 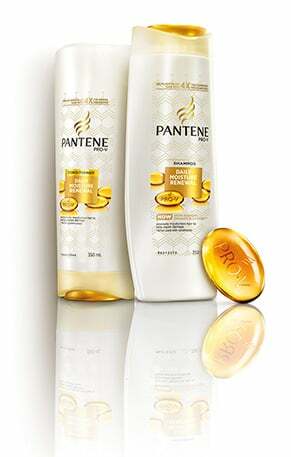 The new Pantene is specifically designed to meet the needs of Australian women by addressing their top hair care concerns. The keratin damage blocker technology and optimal blend of Pro-V nourishes and protects your hair to deliver up to 100% damage protection** with a lightweight feel. No need to compromise anymore. Also Ultimate 10 BB Crème is the ultimate 10-in-1 multi-tasking treatment that moisturizes, de-tangles, de-frizzes and more for incredibly healthy looking hair. You can use wherever, whenever – wet or dry hair, day or night.